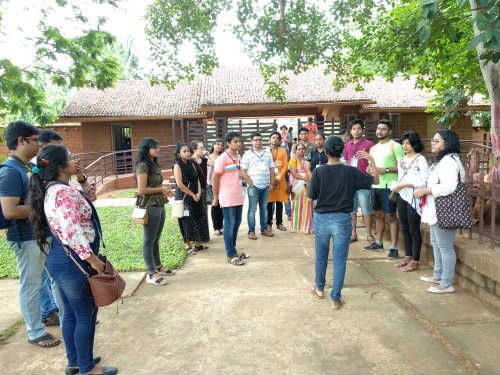 Bhubaneswar: The third Museum Walk today got another rousing response with 70 participants joining the trail to explore the crafts and handloom treasure of the State at Kala Bhoomi along the Pokhariput-Khandagiri Road along the proposed heritage corridor. Kids, however, were a major force behind today’s footfall and they have shown an extraordinary zeal to ask their types of questions and to experiment with the crafts making process, especially at the workshop, where the pottery making session was on. Kids also created clay items on the pottery wheel under the guidance of the craftsmen. Museum authorities, after seeing the interest at the pottery-making activities have decided to make it a feature or part of the walk and the wheel will be near the water body, where live music is performed during the event. Min Chai Liu, a dentist from Rourkela and Subrata Bal, Customer Service Manager from SBI Rourkela, joined the Museum Walk today and were overwhelmed with the quality of display and the response from the people to know the facts behind the crafts. 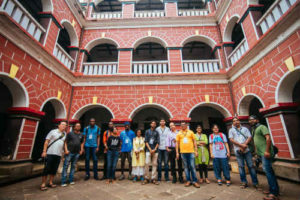 “We also went to the Ekamra Walks Old Town Circuit in the morning and enjoyed the tour mainly involving the ancient temples, old buildings, holy water bodies and medicinal plant garden named Ekamra Van along the Western bank of Bindusagar. However, the afternoon Museum Walk was also very special to us and we had a very fulfilling day. Two US students from Emory University, Georgia, Renee Cerovski and Rebekah Williams, who had joined the second Museum Walk last Sunday were also seen in the team of walkers today. “We found today’s walk very interesting like the first one, we joined just a week ago,’’ they said. They also visited the souvenir shop of the Crafts Museum. Well-known architect Akshay Beuria also joined the walk with wife and praised the way the display has been done and the artifacts are placed inside the museum and also along the corridor and inside the museum premises. “I am happy that so many people are taking interest to visit the museum for the walk,’’ he added. The Ekamra Walks Old Town Circuit this morning also attracted many visitors including three students from the capital city of Togo Lome, in Africa. All the three are studying Computer Science and Engineering (CSE) in India. Godson Kalipe, who joined the Old Town heritage walks some months ago is studying CSE at city-based KIIT University. His other friends Abdel Aziz and Rodolphe came visiting him and all three decided to join the Ekamra Walks. “During my last visit to Ekamra Walks, I found that it is a nice platform to showcase the traditions, temple building style and technique and knowing its culture from a close quarter. I suggested my friends and they agreed immediately. 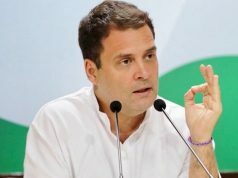 They are also studying CSE at APG Shimla University,’’ said Godson. Seema Misra came from Bangalore to join the walk with her professor aunt, Susmita Pani, who taught English Literature at Ravenshaw University. 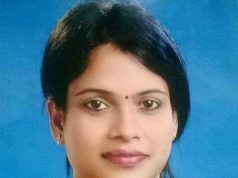 Seema, a self-taught artist and blogger, based in the IT hub of India not only writes her blog, but also does the sketching for her article herself to ornament them and make them attractive. “I had been to the city on many occasions, but never joined the Ekamra Walks. It was very interesting, entertaining and educative,’’ she commented.